Let me just start by saying how awesome being a mom is...I love waking up every morning and seeing that little fella of mine smiling at me as he wakes up. I love those sweet baby snuggles and coos of happiness. I don't even mind changing all of those wet diapers because it's one more moment that I get to spend with my baby boy...but do you know how hard it is to blog when you're a mom and you also work full time? Really hard. So to all of you, who are moms, who have a full time job, yet manage to still blog religiously, kudos to you! I'm typing this one-handed as we speak. 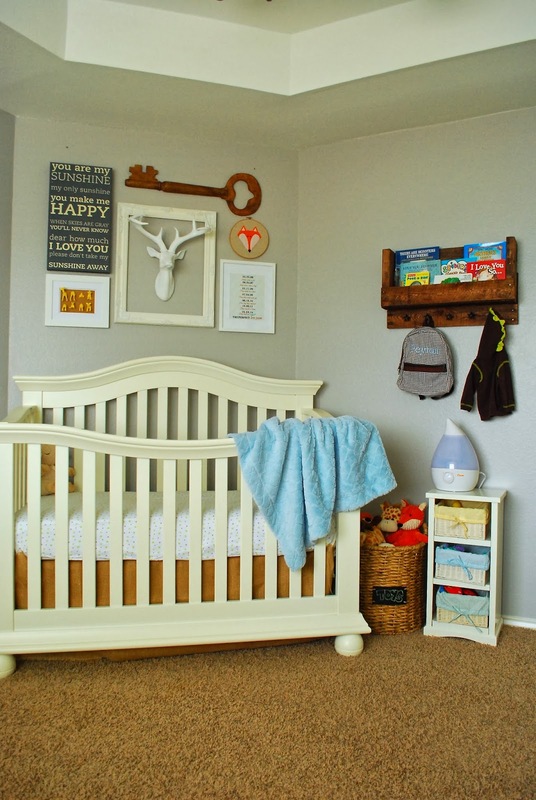 Now that Peyton is a little older, on a schedule, and I'm getting better at this mommy gig, I figured I should finally post a few pictures of his nursery! I had so much fun decorating, I only wish the was more room for me to keep decorating! I chose to paint the walls gender neutral because I painted the room before I knew the gender of Peyton. I figured I would be able to make it more girly or boyish once we knew what we were having. 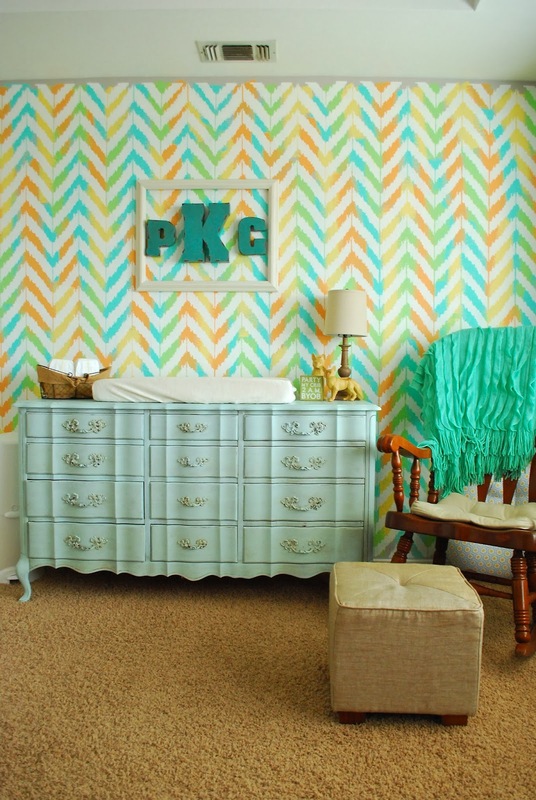 You can see how I painted my chevron wall here. I added decorations above his crib that represented both Justin and I. A loom with a handmade fox and a little animal head menagerie to show my creativity and love of crafting. A deer head for Justin and I's love of hunting and the country (something we can't wait to take him to do). A framed list of all of the important dates leading to his birth and a canvas painted with the lyrics of the song I sing to him every night. I'd also like to add that I used foxes in the decorating before foxes were cool and that "What Does The Fox Say" song went viral! Don't you just love that reading corner?! Justin and I made that out of rain gutters! I love how it turned out and I can't wait for when Peyton is older and can read on his own. I plan to make him a fun teepee or fort for him to use as his special hideout/reading place. I'll be back soon with more crafts and baby goodness, I hope you'll stick around! Enjoy your little guy...they grow up soooooo fast. Super cute Audra! Pinning : ) Still LOVE that wall!! Super Cute! 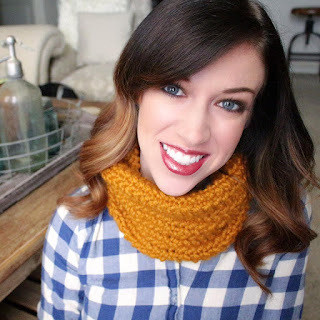 Glad to hear you are enjoying mommyhood!